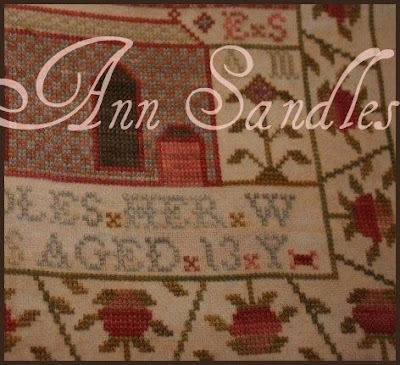 The larger then normal border was another feature of this antique sampler that grabbed and wowed me...I liked it's uniqueness. There are some leaf placement errors made by young Anne (age 13), throughout the border. In keeping true to the original sampler, the pattern will be charted with these errors as well. The windows are waiting for their cute little white panes and there is outline stitching in red around the blue letters that will be stitched yet, before the piece is done. This outline stitching in the red really makes the letters pop. 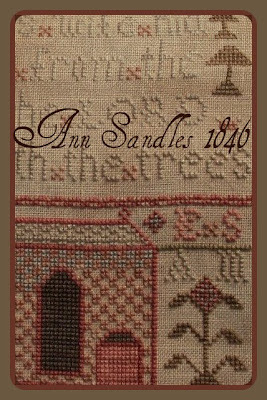 Wait until you see the top portion of this sampler...this is where you'll find Adam & Eve, some birds, apple trees, frolicking puppies and other star-shaped motifs...and of course, a serpant hiding within the apple tree. This is the final sneak peek, the next showing will be of the finished piece...stay tuned! 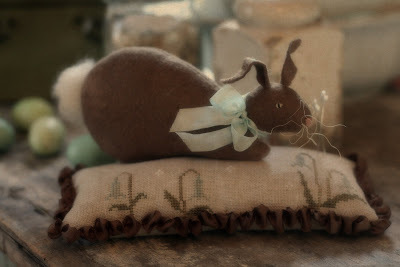 I'm hoping that isn't the Easter bunny in the Eagles Nest...take a look! Me thinks I see a bunny wabbit in it's nest.... (Look up towards the top of the nest...is that a cotton tail?) Click here to see! 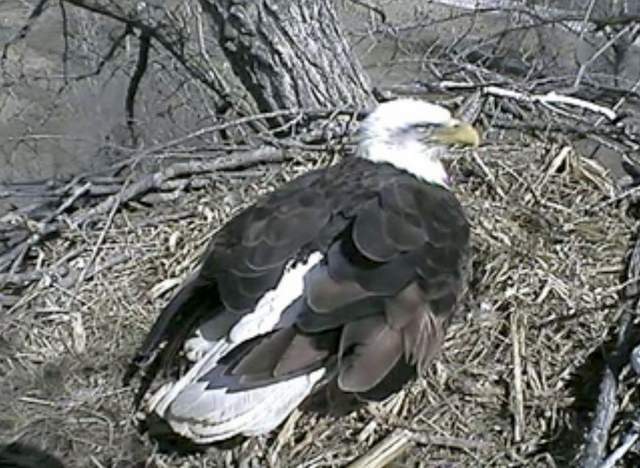 Our pair of Iowa eagle's, featured on the web cam for the Raptor Resource Project, egg hatching due date is expected at some point between Wednesday and Friday of this week. If interested tune in here. It is also there where you may make a donation towards this project. We are seeing the eagle make a come-back here in Iowa, after spending many years on the endangered list. The eagles were featured in today's Des Moines Register. Photos are courtesy of the Des Moines Register. The article states the camera has almost four million page visits a day from over 130 countries the past month. The article also states the web cam will be turned off in July, about the time the fledgings leave the nest. The job of a Raptor Resource Project volunteer often requires them to scale great heights to reach the eagles nests. 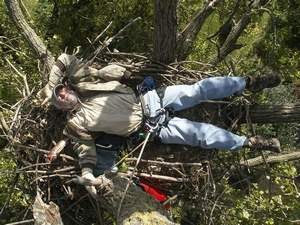 Here, a volunteer rests in the nest...gives you some idea how big that nest really is! Also...take note of how each eagle prefers the eggs in their nest. One observer noted that the male prefers the eggs to be in a row and the female prefers them in a triangle (I may have that turned around). This rolling of the eggs keeps the embryo from sticking to the shell. Let's hope for warmer weather this week for these little ones as they make their way into the world. 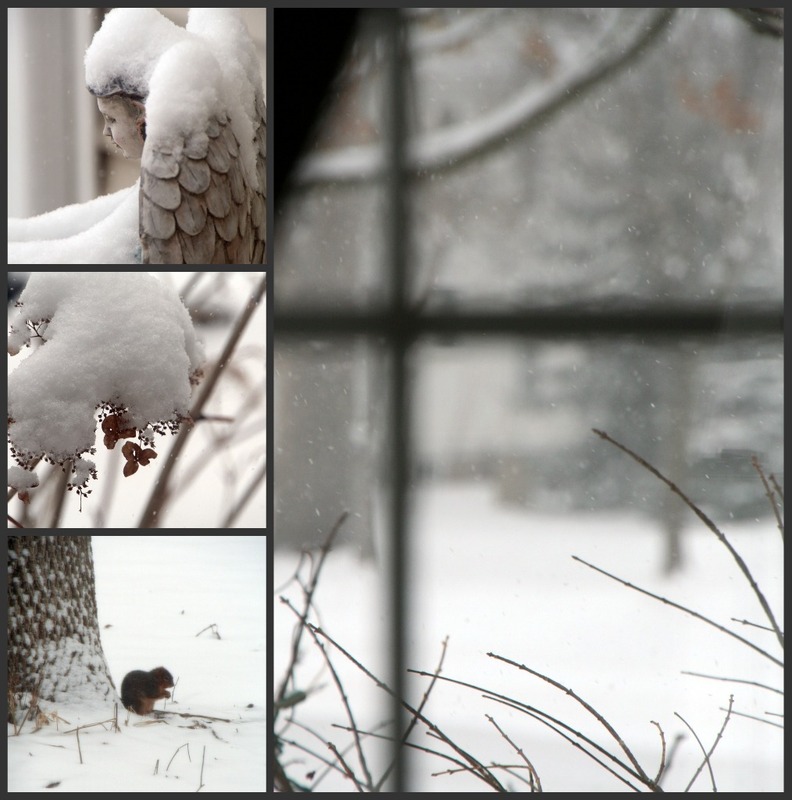 Friday we awoke to a slushy/snowy mix here in NW Iowa. These conditions made for tricky travel on Friday. Road conditions were blamed for an accident that claimed the life of a local woman, a mother of 6 young children. One can only imagine, such a tragedy for this young family...our thoughts and prayers are with them. 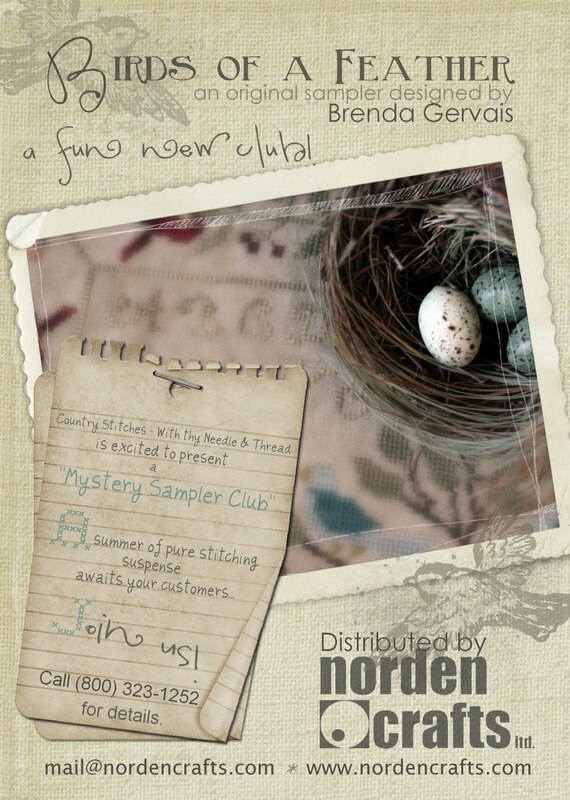 The Birds of a Feather sampler is a 21st century sampler, with a 19th century flair, designed by Brenda Gervais/With thy Needle & Thread. The stitch count of the finished piece is 173 wide X 190. 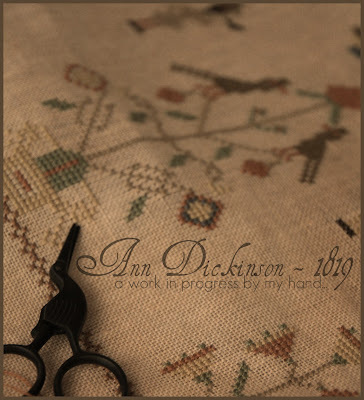 The Ann Dickinson 1819 that I've been stitching for sometime now....or should I say, a lack of stitching??!! I started her around the holidays. This poor "Ann piece" has been set aside for the moment as I've had other irons in the fire - aka "Mystery Sampler Club". I hope to get back to this sampler in a couple of weeks with an anticipated release date of this pattern pushed back to late summer. A new stitching club like no other! 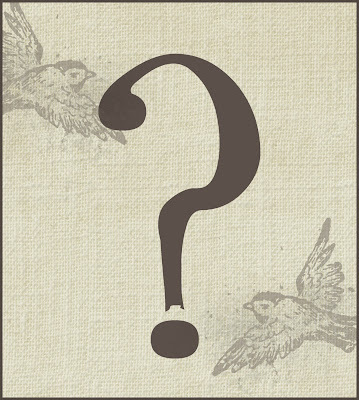 A summer of pure stitching suspense awaits it's members. There once was a little coat. 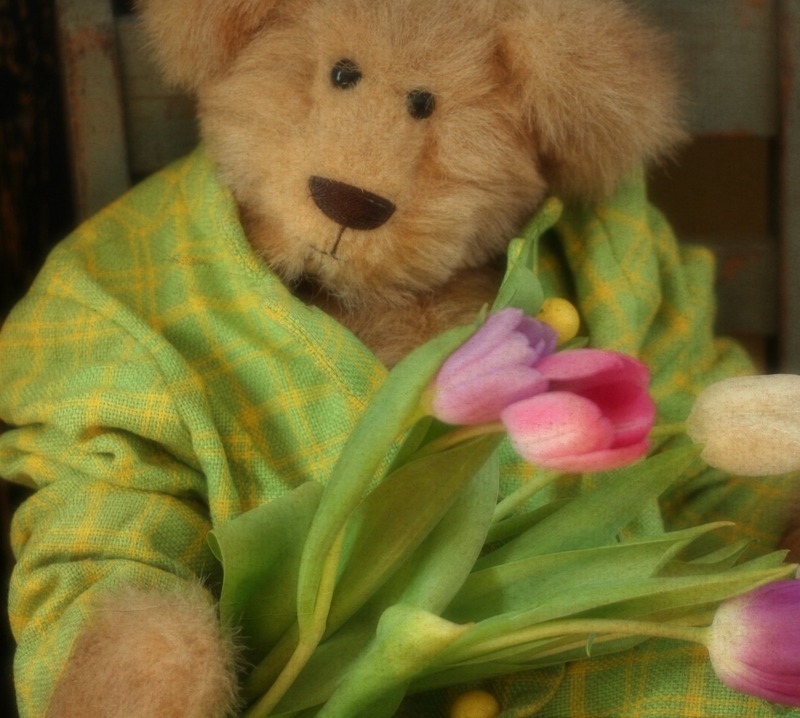 A little green and yellow plaid linen coat. A coat hand-sewn by my mother. It was my favorite Easter coat. I loved the "bally" buttons! Bunny & Co, in cross stitch, is here and ready to ship! A couple of posts ago I was contemplating the finish of this piece. Per one of my blogger friends suggestions, I went with purple frills around this pillow. She said, purple reminds her of Easter...Purple IS the color of Easter and I just so happened to have a bouquet of fresh purple tulips for the photo shoot....P.E.R.F.E.C.T!! If purple isn't your color, there are other color options for the seam tape ribbon finish on this design. 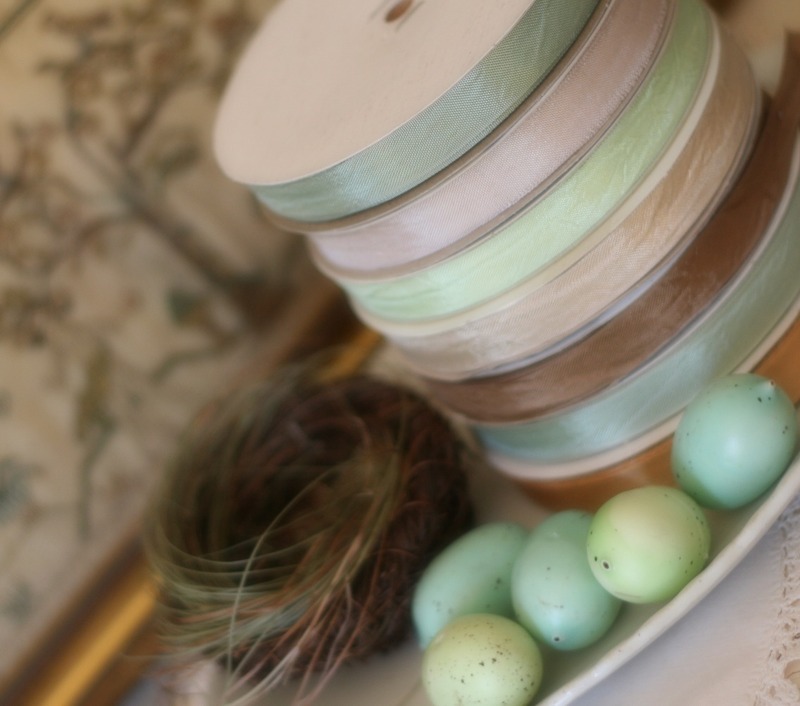 Other colors that beautifully match the floss colors in this piece are - Moss, Posie, or Grecian Pink. The Grecian Pink is an exact match to the Baby's Breath linen by Weeks that this piece is worked upon...I think the Grecian Pink would give the pillow an elegant finish, as well. Bunny & C0. 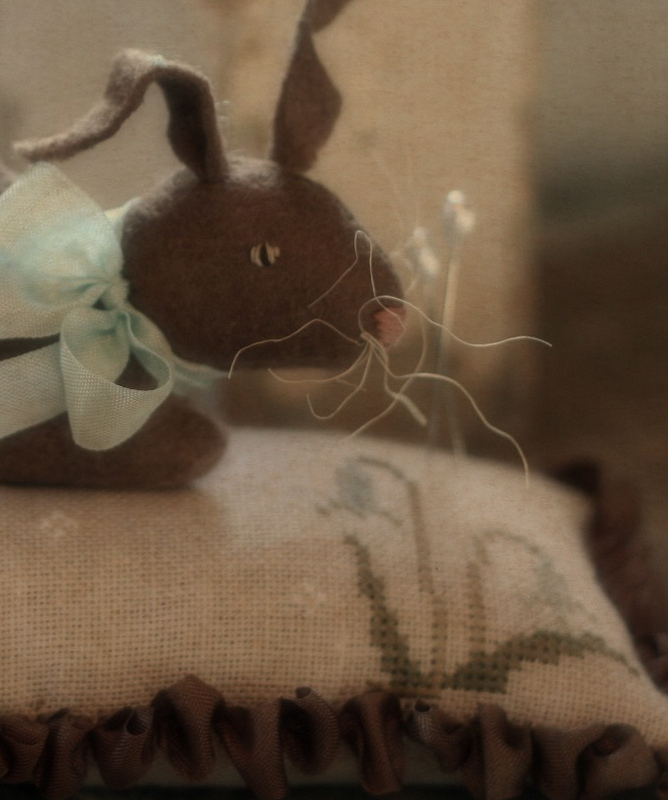 is worked on 30 count linen (Baby's Breath by Weeks Dye Works) over 2 threads using Weeks flosses throughout. When the pillow is completed, sewn & stuffed it measures 8" x 12"...a perfect sized accent pillow. I have a vintage teddy bear that is sitting in a child's chair that is currently holding my pillow...so sweet! 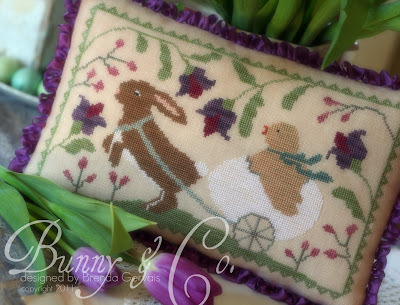 New market release patterns from other designers are still arriving weekly. 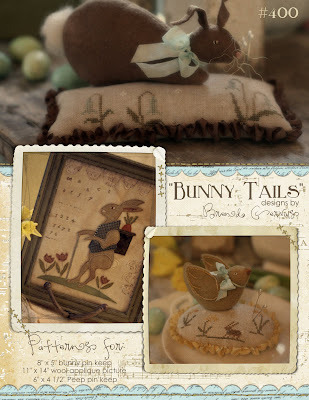 New patterns from Stacy Nash, Karen Cluba and Primitive Traditions arriving this week. Also new, are 6 new shades of the vintage seam tape ribbon. This is the ribbon that we use to add the frills to the edges of our cross stitch designs...it is beautiful! And YES, we do give the detailed instructions, in the cross stitch pattern, for adding the seam tape ribbon frill to the piece. 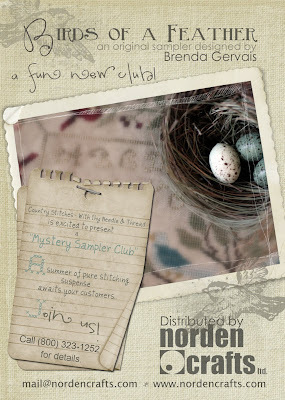 The six new colors are very reminiscent of faded colors of floss that you find in antique samplers. To view all 56 colors of this seam tape ribbon click here. Put on Your Birthday Hat!! Here is a picture of our boy. 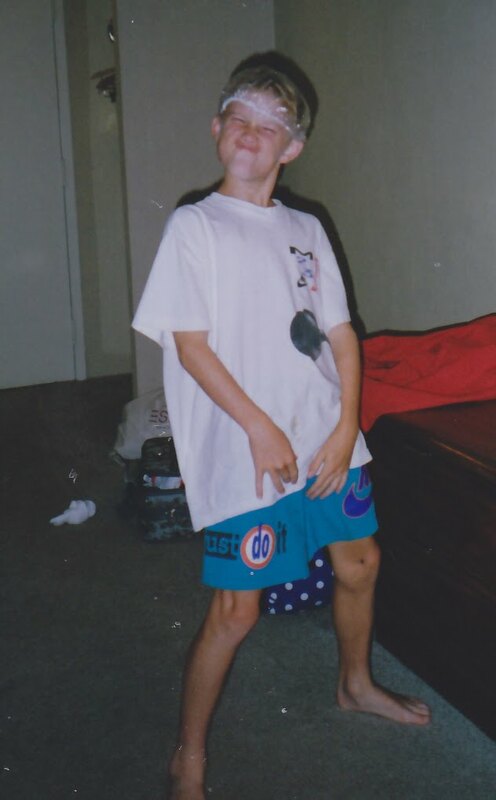 Today he is our birthday boy. He is on his way to the sunny beaches of Mexico for vacation. yes, he has probably outgrown this. I probably don't need to worry about this anymore, right? and know we are thinking of you today. I have little daily rituals, routines or what ever one wants to call them. One being, I stop at a local gas station across the street from Country Stitches, and pick up a cup of coffee to sip as I'm invoicing orders each morning. Yep, gas station coffee... no Starbucks in my town! Yesterday, as I thumbing through change in the bottom of my purse to locate 85 cents, the store clerk say $1.06...my response, "oh that's just coffee"...thinking, she's thinking, I have cappuccino...she says our coffee prices went up. Wowser... I thought, and now I'm scrounging for a green back and change! So....the price of oil keeps going up, but is there some news about coffee beans that I'm missing out on? So... I pay the buck six and am on my merry way to work...thinking the whole time, jeeper socks, that's over a 20% price increase!! 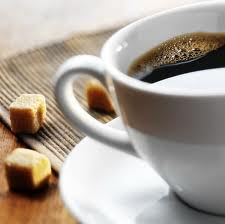 The coffee is good... don't get me wrong and I enjoyed every drop of it! "Worry is a waste of the imagination"
And really... in the whole scheme of things, with all the trajedy and loss in Japan, it is all trivial and shame on me for stressing over something such as small as this...there are much bigger problems in this world! Look what arrived in the mail today from my model stitcher, April!!! Doesn't she do a lovely job of stitching...the backside of the piece looks as wonderful as the front! THANK YOU APRIL! Hmmm....shall the frill be contrasting green or rose, or a matching pink vintage seam tape...or should I go out on a limb with purple?? 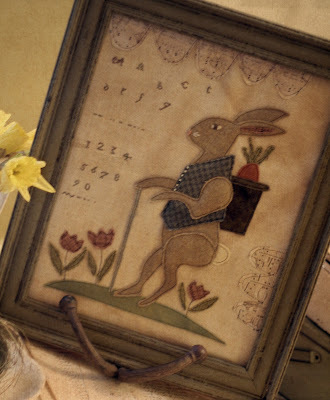 Release date of cross stitch chart, BUNNY & CO. is March 21st. Our country's bird...you must see this! Since I've kind of been stuck on bird topics the past few posts, I thought I'd share with you all an amazing web-cam of a pair of nesting eagles here in Iowa. These eagles have been followed since 2002 and until only recently the taping of these magnificent birds has now been made public via the Internet for all of us to view. 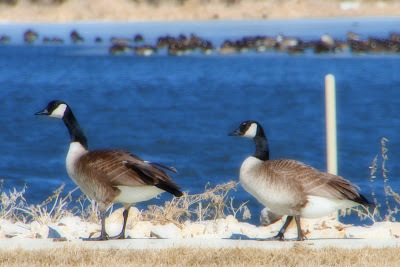 The exact location of this pair is not given, to protect their safety. There are three eggs in the nest. The eggs were laid in late February with babies due in early April. Watch as the eagle carefully turns the eggs and then adjusts and tidies up the nest. I'm noticing steam from the breath of momma eagle this morning...It must be a big task keeping those eggs warm this time of year, when it still gets below freezing here at night. Remember this is a 24-7 web cam in the Central Time zone in the USA. If it is night time here, the viewing will be darker and you may even catch the momma sleeping. This is an audio as well as video web-cam....so turn up your speakers to hear the eagles occasional shrill as she communicates with the Mr....I think she is really telling him to get home with dinner!! You'll also hear sparrows tweeting, blue jays squawking and cardinals singing their courting songs in the background...it's like listening to one of those natures Cd's to bring upon relaxation! Enjoy this "bird's eye view" of this amazing pair of eagles on their journey from egg laying, to eggs hatched, to caring and providing for hungry little bird mouths, to fledglings leaving the nest....these are amazing birds! 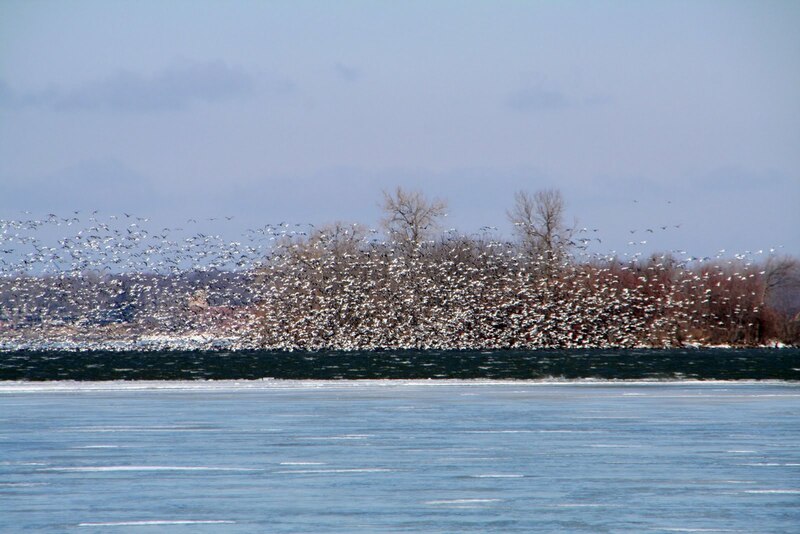 The males wing span measures 90"...they are much larger then what the bird appears in the viewing. This particular nest is 80 feet from the ground, is 5' x 6' in size and weighs 1.5 tons....wow! Be for warned though...you are going to see a fish, a bunny or squirrel or two that have succumbed to the powerful claws of this mighty bird before the fledglings leave the nest. This is what they depend on for food. How often to a see a neighborhood cat kill a bird? All too often. 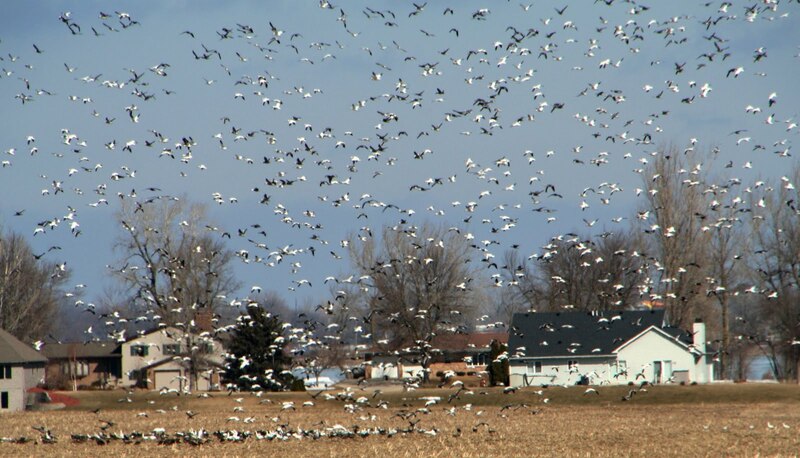 This is always a topic of discussion to those that oppose wind energy....bird's flying into them. Birds are important to our eco-system, but wind energy is too! 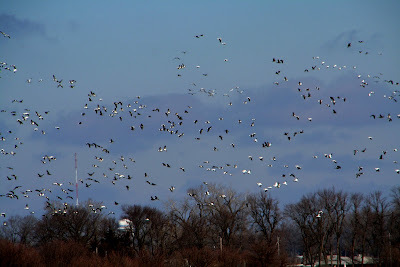 When many of you think of Iowa you probably think of farming, large fields of corn and beans, and pigs roaming around. You are right, except our pigs for the most part do not roam around freely. LOL!! Did you know there is a new form of farming going on in Iowa? 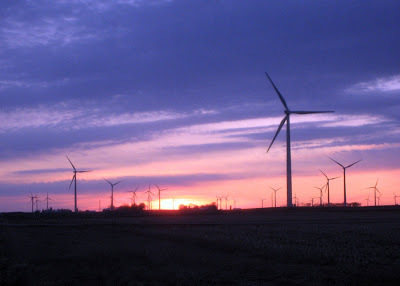 It is wind farming. Our state sits along a ridge called, the Buffalo Ridge. This ridge runs through Iowa and Minnesota. Areas along this ridge experience more wind then other areas. Yes, it is windy here...most days! Our farmers are now contracting small plots of their land to wind turbine companies and wind turbines are being built. Our windy weather turnes these huge turbine blades, which in turn create energy, the energy is captured and then turned into energy. The farmer still plants fields of corn and beans around the windmills. Iowa is a front runner in wind energy. From the below photo it is hard to imagine how big these windmills really are. When a wind farm is going up, the roadways will be filled with semi's bring parts to the construction sight. One blade extends the length of a normal semi-trailer, yes one blade at a time is moved into the sights. I've spent most of my weekend, as probably many of you have, glued to CNN & FOX watching the catastrophic happenings in Japan, with cross stitch in my lap. It is incomprehensible for those of us who sit and watch this, in the comforts of our homes, enjoying all things we take for granted. Life, safety, electricity, clean running water, phone service, ample supply of food and the list goes on. Our hearts go out to the Japanese people and their country. I've learned a thing or two over the past two days about nuclear energy. I will be the first to admit that physics and chemistry were never my strong suits in school. I really didn't even know what nuclear energy was, or was made from, yes call me stupid!! I even now know that a melt-down is something much bigger and much more serious then a little one throwing a fit. This disaster has piqued my interest in nuclear energy, even doing Google searches on the very topic. We have over 100 nuclear power plants in this country in 31 states. I learned we have one in my state...I didn't know this, call me stupid again!! The readings I found also says there is a big push for more plants to be built in the states, enabling us to be less dependant on foreign oil. My concern is, is it safe? Did we learn enough from Three Mile Island event?? As I sit afar and watch this, a little part of me is scared of the global affect something such as this could have. A total nuclear melt-down sounds scary to me. The fall out can be moved by weather with mention of it possibly reaching the California coast...this IS scary! I'm liking the sights & sounds of whirring windmills that dot our local countryside more & more. There is comfort in knowing that they pose no risk of causing a catastrophic event. Most important, they are clean, safe, renewable, and wind is free! attracting all sorts of water fowl. 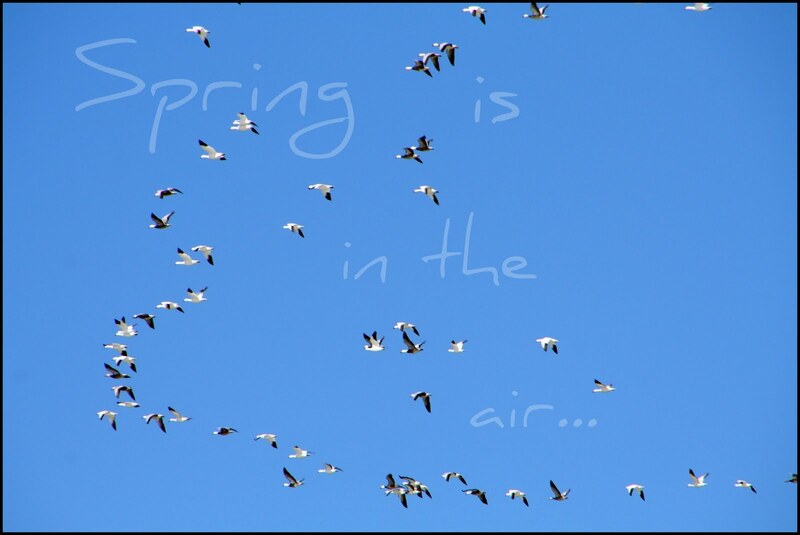 A sign that spring is drawing near. Sorry about the bad picture (click on photo to enlarge...it does help), but I was a few hundred yards away and this is the best my 270 mm zoom could do. Darnit...really could use one of those $2000.00 zooms for moments such as these. Do you see those four dark blobs with white spots?? 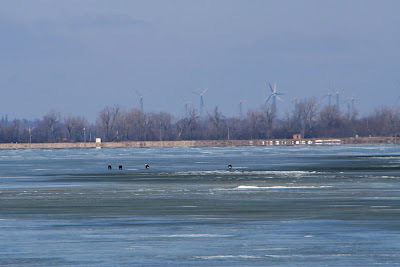 These are bald eagles out for a Saturday of ice fishing. 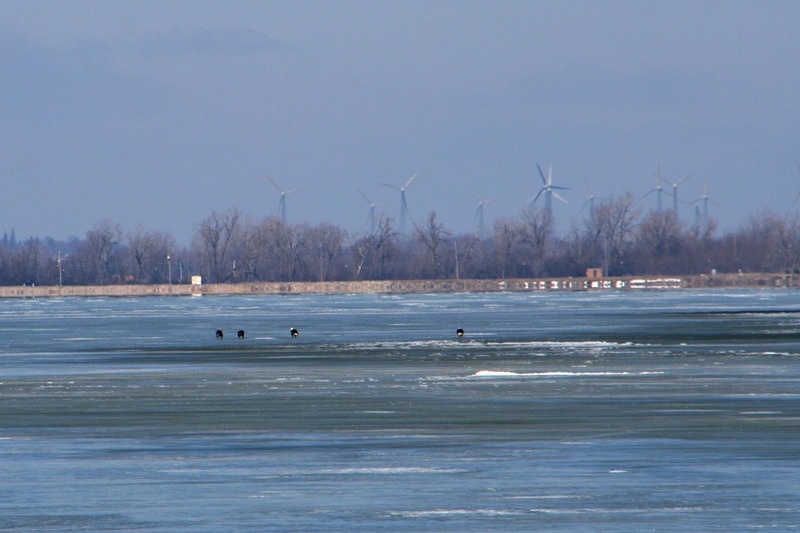 I'm hoping for a closer picture of these guys before the ice totally goes out. 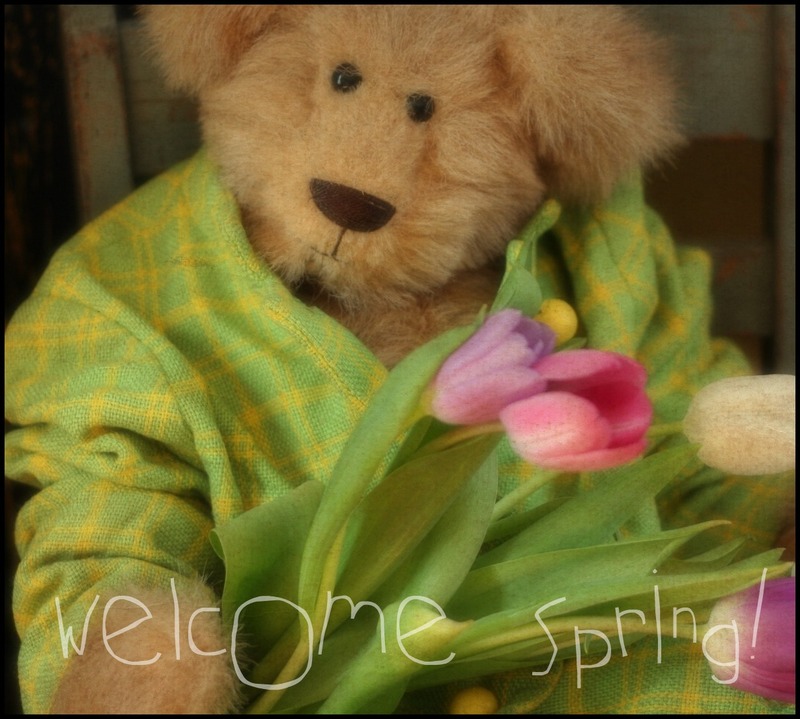 Hoping wherever you are, you are enjoying a warm & sunny Saturday! I just received word that some flosses that have been sold out of at Valdani/Canada since December are now back in stock....we are doing the happy dance, it's been a l-o-n-g wait. Yes, 8122 is finally going to be back in stock! For those of you who have some of these flosses on back order, we will get them out to you just as quickly as our order arrives. We are expecting our shipment on Friday or Monday. There always seems to be some bad news with the good...Valdani/Canada is still sold out of colors O510, O505 & JP12... No word yet as to when they will be back in stock. 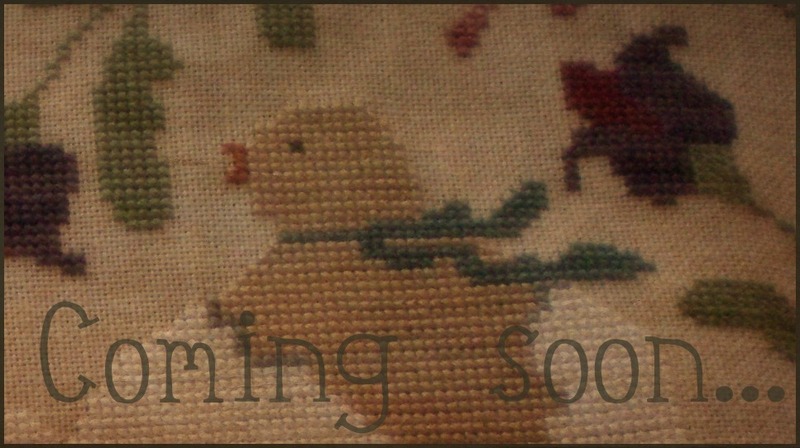 Bunny & Co. in cross stitch, coming soon!! 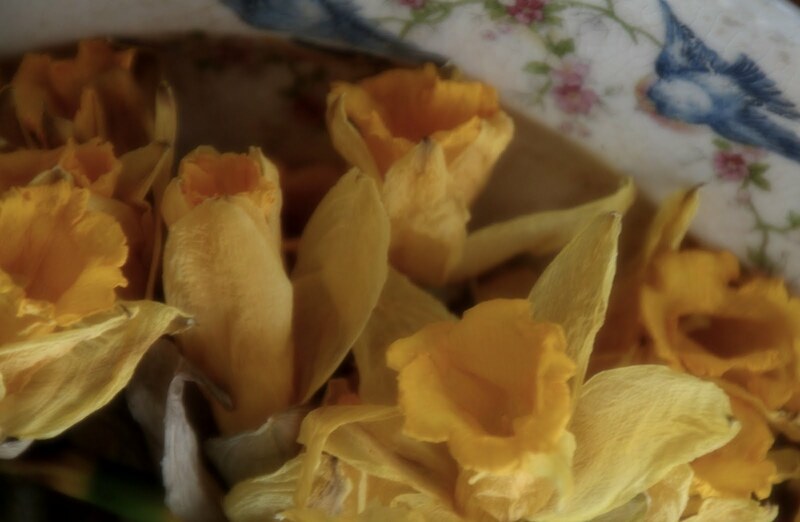 Don't throw away those spent daffodils...lie them on a fancy old plate to dry & enjoy their everlasting beauty! we just know we are in for snow. It is high school state basketball tournament week here in Iowa and that means snow, guaranteed. While the positive minded folk tends to think...it won't last long. 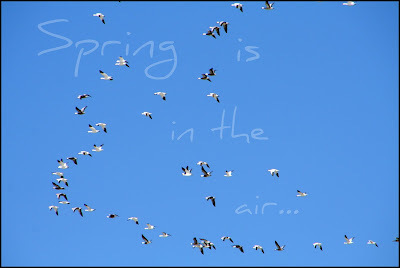 I don't tend to belong with these folk...I am ready for warm, wet & muddy spring-time weather. 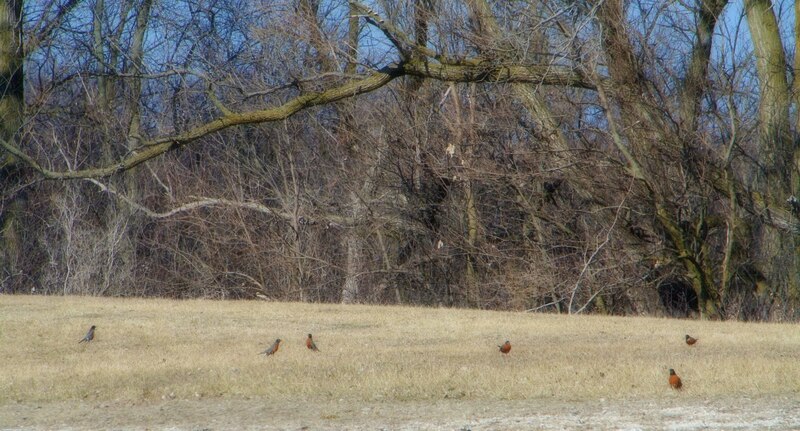 Then there is the old wives-tale that it snows 6 times on a robin's back...haven't even seen the first robin yet here in NW Iowa...robin's please hurry! 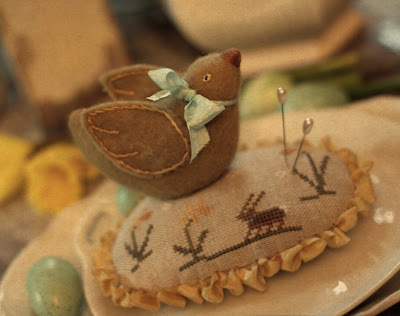 Introducing you to a NEW Spring-time-fresh pattern filled with quick & easy to stitch projects. Each project can easily be completed in a day!! 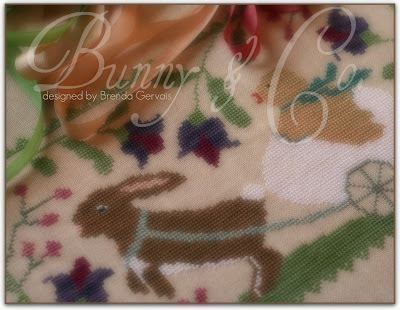 "Bunny Tails" pattern is now available for purchase here. Do you want to hear a little bunny secret? 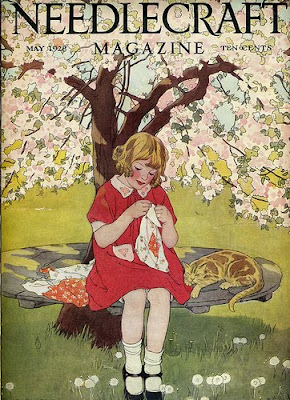 Whew, I'd say that that kitty of ours is one lucky kitty...hmmm, what say you?? No kitty treats today! of the passing of Lisa Roswell of The Primitive Needle pattern designs. Lisa was on her way to work when her car was swept away in flood waters, due to the raging floods/storms that crossed the mid west section of the country, earlier this week. Her body was found this morning. While many of us never had the opportunity to personally meet Lisa, we knew her through her work. I loved everything she did, no one did Halloween better then Lisa.! Lisa's sudden passing is a major loss to the needlework industry, we will all miss her dearly. We can find comfort in knowing that the memory of Lisa will live on through her work that hang upon the walls of our homes. 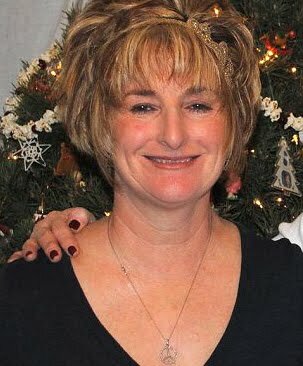 Please keep Lisa and her family in your prayers.